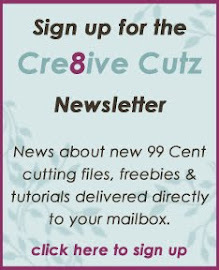 Cre8ive Cutz - 3D SVG Cutting Files for Electronic Cutting Machines: Thank you! First of all, I would like to thank everyone who took a minute to fill out my survey question. I really appreciate your assistance, and your answers were very helpful. 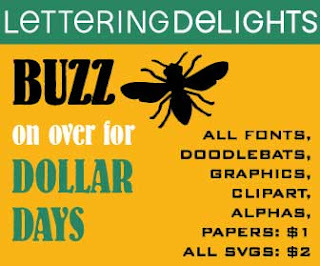 Second, I just want to remind you that Dollar Days is still going on over at Lettering Delights . All fonts, doodlebats, graphics, clipart, alphabets, and paper packs are only $1, SVG's are $2 and mini albums are $3.